With a 2000 year history, Palma hosts the bespoke copper pot distillery where Gin Palma was founded and created. True passion and desire combine to produce a handcrafted spirit, of pure quality, using only local, natural and organic botanicals, ensuring intricate care and attention with every distillation. 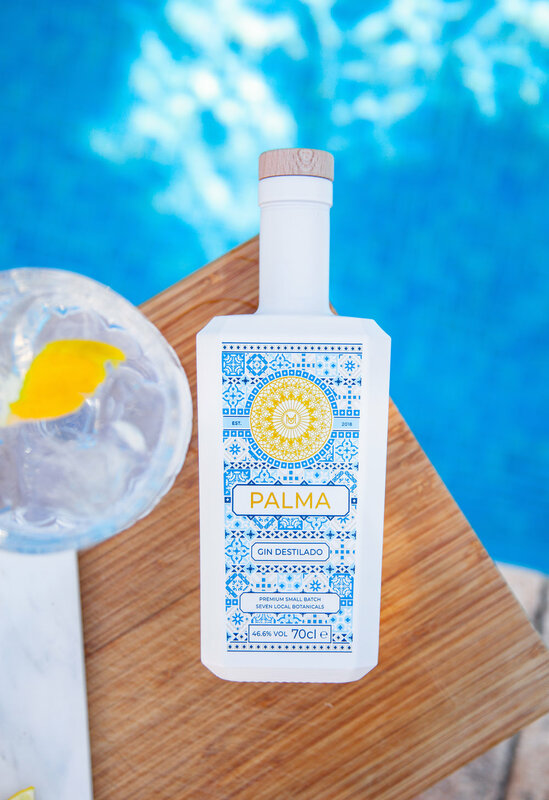 Gin Palma is distilled with locally foraged wild flowers and fresh citrus fruit from the rural orchards of Mallorca, the result creates a fresh, dry, citrus infused gin with a delicate and smooth finish. The unique core flavour comes from the Mallorcan juniper berries capturing the subtle essence of the Mediterranean Sea. Almond flowers, foraged once a year before spring, combined with orange leaves and lavender, create a delicate floral scent and sweetness. These core ingredients really enhance the depth of flavours from the other botanicals we use. Carefully distilled botanicals create our unique flavour. ORGANIC BOTANICALS: Coriander, Orris Root, Cassia Bark, Cardamom Pods, Angelica Root, Liquorice Root, Lime Peel and Rhubarb Root. LOCALLY FORAGED BOTANICALS: Juniper, Fresh Lemon Peel, Fresh Orange Peel, Almond Flowers, Orange Leaves, Tomato Stalks and Lavender. The gin has a light citrus and floral scent. The first note is lightly floral followed by an apparent orange and lemon citrus. Second note gives way to an earthy feel with a refreshing piney flavour. The strength of 46.6% is apparent but still very mellow. The combination results in a light, fresh, delicate tasting Gin. A true taste of the Island. In a mixing glass, add all three ingredients and stir over very cold ice until blended. Strain into a rocks glass over a large ice cube and garnish with an orange twist or slice.